When your mother calls you and asks why didn't you post for a whole week, you know the feeling. My mother was even more specific, she wanted a new photos of the family. Hence, the family post it is. Dear mother, your grandson is well fed, skinny though, but well fed. He also is taller than both of us already. 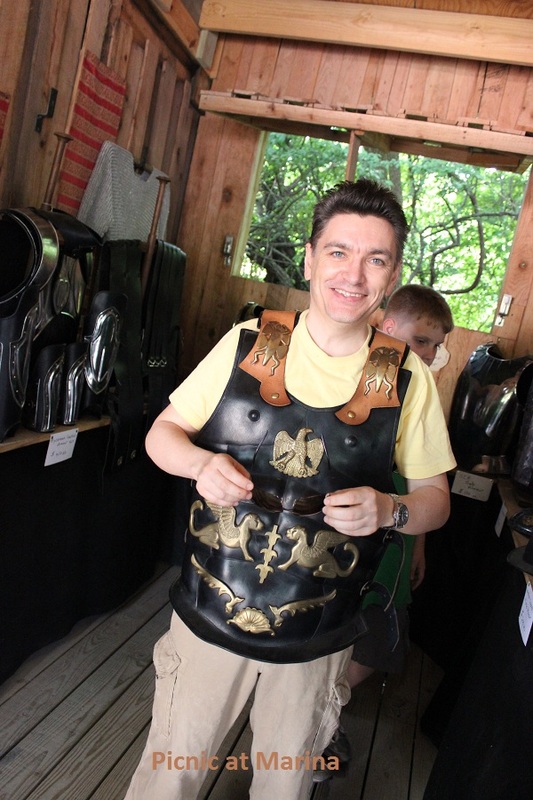 As you know, mom, your son-in-law loves history, and he is even wearing it sometimes... We all have hobbies, right? It was also a great getaway to clear up our minds and for a few hours forget about stressful waiting time. What we were waiting? Some time back in April The Husband took his two days test, after which he would be eligible to apply for a license. Test results were released on June 6th, and he passed! But you, dear mother, already knew that. So that week around June 6th was restless and nerve wracking, filled with anticipation, uncertainty, and at the end, victory and some celebration. 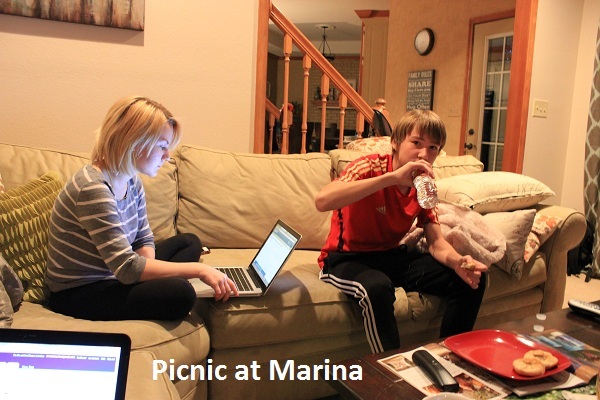 Then the UEFA Euro 2012 (European soccer cup) started and for the next two weeks we are glued to ESPN. As you know, we all are a huge soccer (football) fans. let me wish you all a great and happy week! My partners English so he is up all night at the moment watching soccer. Personally I like Australian Rules Football much better so i'm quite glad I can sleep through most of it. i do generally enjoy the final though. Ha yes, it's definitely 'football' not 'soccer' on this side of the pond, and as soon as Euro 2012 is done it's the London Olympics - a busy summer for the Brits. Yes indeed it's football. Why would someone want to rename it?! Thank you Vanessa. I'd love to see your recipe for the funnel cake. But you are not alone: my husband doesn't read my blog, he doesn't have time (his words). This looks like an interesting cake. I have never seen it before. Bookmarking. I am sure you've tried something similar to it, it's an old traditional in many cultures dessert, very easy too. It is so wonderful that you talk to your mother by your blog-))) I phoned my yesterday. Yes, and where is your picture? Nice to hear from you again! Nice post! Always enjoy learning more about other bloggers. Love the knight's armor shot. 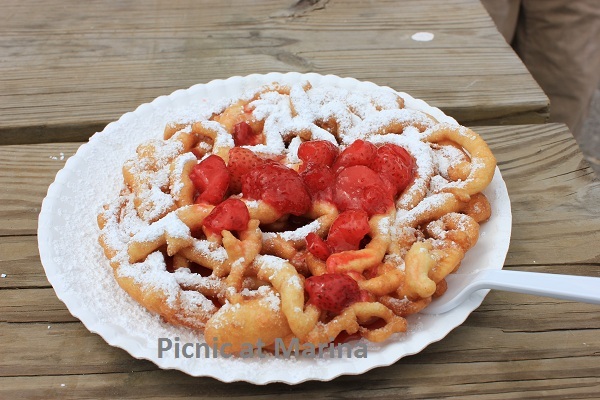 And that funnel cake looks wonderful. I love the stuff, although I've never made it (kinda messy). Fun post - thanks.